When I started the I Love Grilled Cheese feature, I thought there would be tons of people to interview, and tons of restuarants doing amazing things with the simple but awesome grilled cheese sandwich. Well, I still think that, I just can’t find them. Googling “grilled cheese restaurant” really yields no usable results. I find that two grilled cheeese restaurants, one in CA and one in NY, have gone out of business. I find CHEDD’s, which I have already interviewed. Melt, check. However, in those results, I don’t see a restaurant that is serving a new grilled cheese sandwich each and everyday, or, a restaurant that is serving a $15 or $30 grilled cheese. I find nothing unique and that is exactly what I want for I Love Grilled Cheese. Where do you eat grilled cheese sandwiches? Sure, you may cook the greatest grilled cheese sandwich known to man, but that is for a different feature. I want to know what restaurants in your area create the best grilled cheese sandwich. Which restaurant simply doesn’t leave the grilled cheese to fester on the kid’s menu for the youngin’s but let’s it breathe for all to enjoy. I want to know which restaurant has that grilled cheese sandwich that just makes you go “mmmm.” The one you want to return to each and everyday just so you can take that amazing first bite. 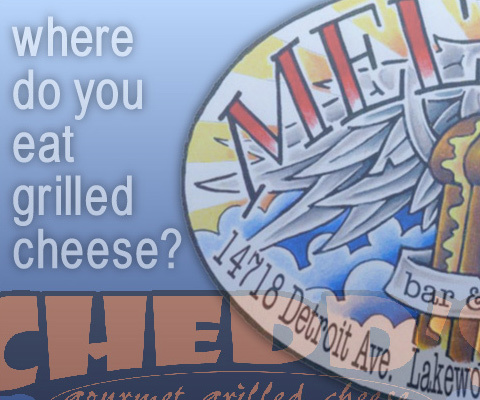 Posted in Features, I Love Grilled Cheese and tagged CHEDD's, melt bar and grilled.